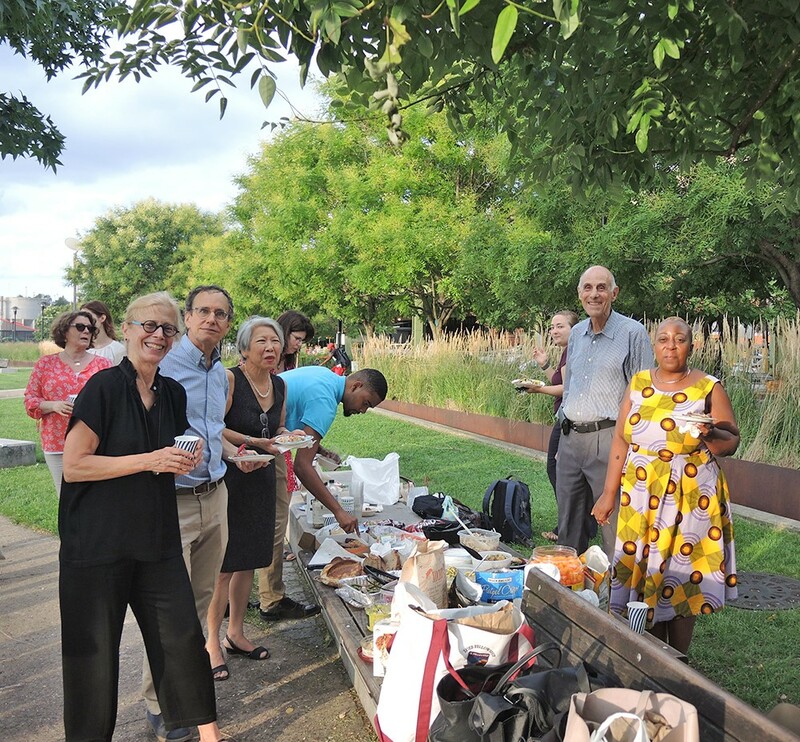 A public space potluck hosted by the Design Trust for Public Space was held last week at West Harlem Piers Park! The park, designed by W, was completed ten years ago in 2008. Barbara Wilks was there for the potluck to provide insight into the design and background on how the piers have become a neighborhood destination on the Hudson River.